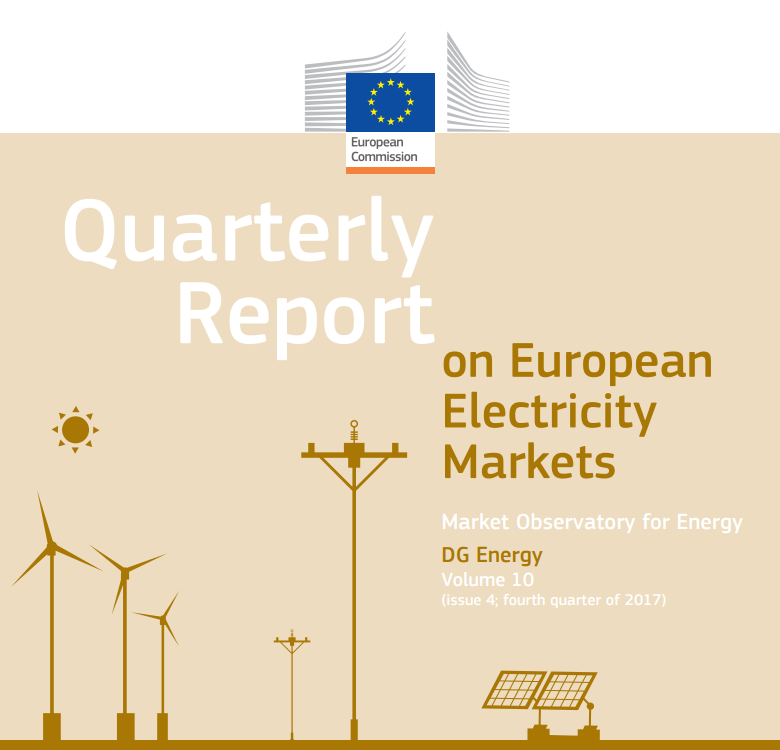 The EC published its latest Report on the EU electricity market, which covers the last quarter of 2017 and contains a wide range of data about electricity supply and use in the EU. The Report find that in the fourth quarter of 2017, wholesale electricity prices in the EU were generally higher compared to the previous quarters. This was caused by higher seasonal demand at the beginning of the winter period and increasing use of fossil fuels in power generation, as significant nuclear capacities were taken out of use in France (due to maintenance works). Accordingly, retail electricity prices for household customers were also up by almost 5% in December 2017 in “EU capital cities on average in a year-on-year comparison, primarily owing to increased energy supply costs, reflecting the evolution of wholesale electricity prices”. In addition, the Report highlights that, in December 2017, more energy from wind was generated in the EU than ever before – 41 TWh, equivalent to 16% of the EU’s electricity mix. Finally, the electricity market Report confirms that, over the past few years, electricity consumption in the EU has clearly been decoupled from economic growth. The EU’s GDP increased by almost 12% between 2010 and the end of 2017; over the same period, electricity consumption decreased by 4%. Is it time to rethink capacity market design? Stay updated on the latest energy news and events.